DELPHOS — On Jan. 10, officers took a report from a male in the 1100 block of Williams Avenue for a report of a stolen motor vehicle. Officers met with the male and received all of the information about the vehicle. The vehicle was entered into a law enforcement database as stolen. The incident remains under investigation. On Jan. 11, officers spoke with a female in the 800 block of Skinner Street, who reported a theft incident. The female told officers that she allowed a male that she knows to use her debit card to make a small purchase. The female later found that the debit card was used also to withdraw all of her money from her bank account. The incident is being investigated by the Detective Bureau. On Jan. 11, officers were dispatched to investigate a suspicious vehicle sitting in the 300 block of Jackson Street. Officers arrived and located the vehicle and observed a male who had just exited the vehicle enter a residence. Officers investigated the vehicle and saw, in plain sight, suspected marijuana and paraphernalia inside the passenger compartment. Officers made contact with the male, 19-year-old Braden Hammons of Delphos, and issued him a summons for possession of marijuana and possession of drug paraphernalia. Hammons will appear in Lima Municipal Court to face the charges. On Sunday, officers were dispatched to a residence in the 200 block of North Jefferson Street in reference to a female wishing to harm herself. Officers arrived and located the female, who was uncooperative and continuing to make threats of harm to herself. Officers restrained the female and had her transported to the hospital for evaluation and treatment. On Monday, officers were sent to the 700 block of East Second Street for a criminal damaging complaint. Officers arrived and spoke with the homeowner. They found that the residence had been hit with eggs possibly causing damage. On Thursday, officers were sent to a residence in the 100 block of East Seventh Street to investigate a protection order violation. Officers spoke with a female at that location and found that her husband, whom she has a protection order against, had been contacting her. A report was taken and forwarded to the Lima Municipal Court Prosecutor’s Office. Charges are pending at this time. 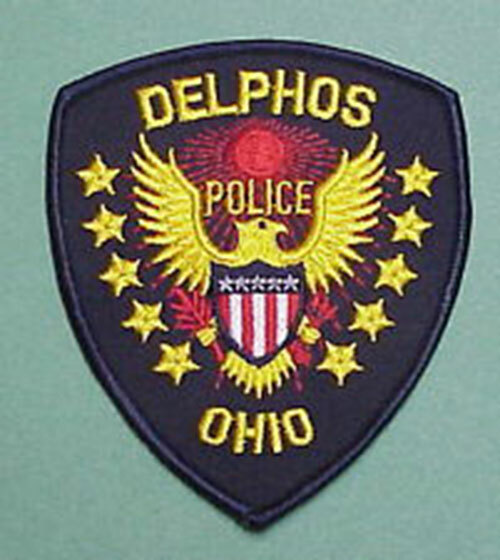 On Thursday, officers met with a female at the Delphos Police Department. The female, 32-year-old Crystal Armstrong of Delphos, was there turning herself in on active warrants out of Allen County. She was taken into custody and turned over to Allen County Deputies. On Thursday, officers were dispatched to a residence in the 600 block of South Main Street after receiving a report of a mentally ill male threatening to harm himself with a knife. Officers made contact with the male and a short time later convinced him to be transported to the hospital for an evaluation.